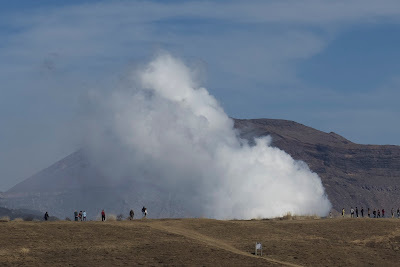 Mount Aso (阿蘇山) is the largest active volcano in Japan, and is among the largest in the world. Its peak is 1592 m above sea level. Mt. Aso has a fairly large caldera (25 km north-south and 18 km east-west) with a circumference of around 120 km.